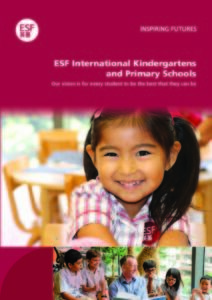 The five ESF International Kindergartens, Abacus, Hillside, Tsing Yi, Wu Kai Sha and Tung Chung, offer an English-medium education for children aged 3 to 5 years. Abacus, Hillside, Tsing Yi and Wu Kai Sha are IB World Schools authorised by the International Baccalaureate Organisation (IB) to offer the Primary Years Programme, while Tung Chung is now an IB candidate school. IB World Schools share a common philosophy — a commitment to high-quality, challenging, international education — that we believe is important for our students. The learning environment is rich and engaging and children are encouraged to learn through inquiry and hands-on experiences. All kindergartens cater for K1 and K2 children aged 3 to 5 years who attend for three hours a day, for either a morning or an afternoon session. The kindergartens offer safe and spacious learning environments which are designed especially to meet the needs of young learners. They are all well-resourced with age-appropriate equipment and materials, and modern teaching and learning technology. The programme reflects the kindergartens’ PYP curriculum being planned around units of inquiry and is structured upon principles of good early years education. Early literacy and numeracy are integral to the programme. Mandarin Chinese is the specialist language and is integrated into the programme, forming a core aspect of the curriculum. At Abacus kindergarten, there is a choice between an English stream and a bilingual English and Mandarin Chinese stream.